It’s about camaraderie, skill — and okay, honestly? Trophies. Check out a video slideshow of CPS Energy’s linemen journeyman team and apprentices on our Flickr page. The CPS Energy team didn’t bring home any trophies at this event, but manager Eric Fassett said they’ve already begun training for a July rodeo held in Seguin. 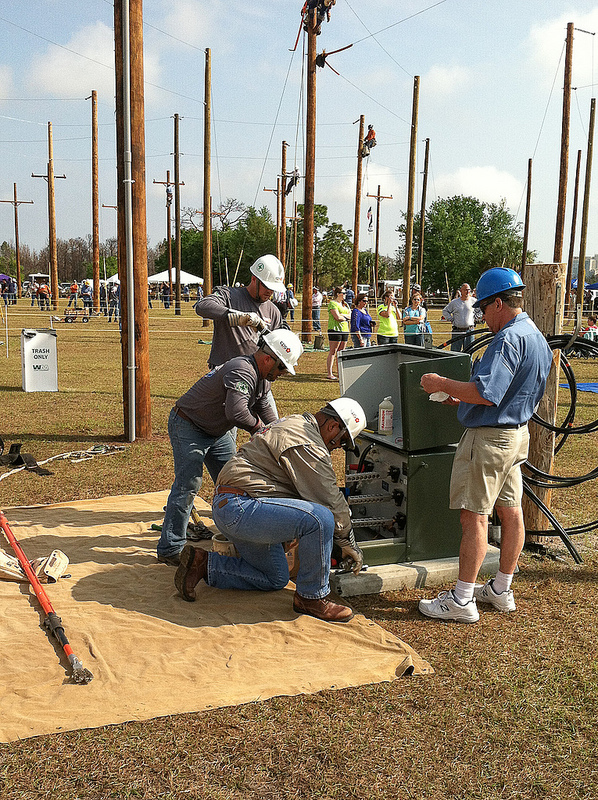 Unlike some utilities, which have teams dedicated only to competing, CPS Energy linemen train during their off-hours, Fassett said. 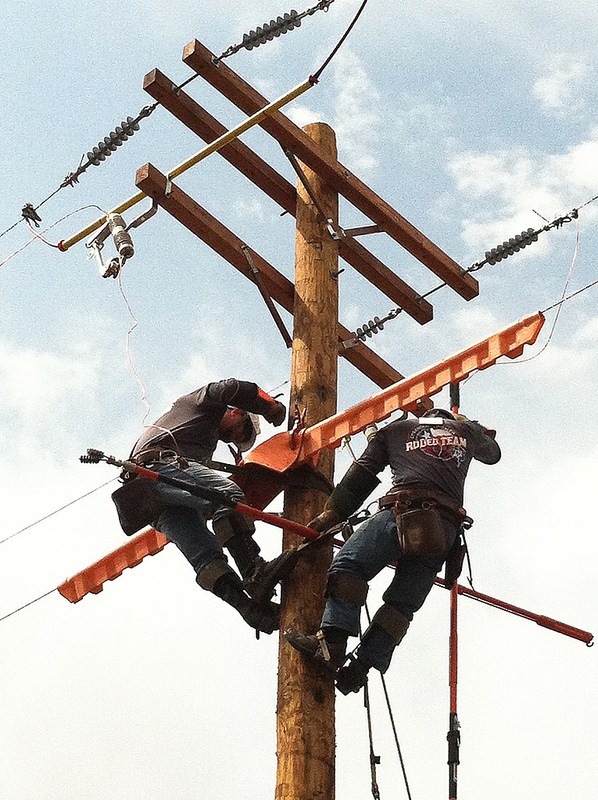 Journeyman switch change-out – the linemen team finishing up on their final rodeo event. Families and kids come to cheer on the linemen at the Texas event, he said, which includes a barbecue cook-off — of course! “We’re really into it, because we really believe in it,” Fassett said. CPS Energy journeyman team tackles the “URD elbow change-out” in Kissimmee last month.